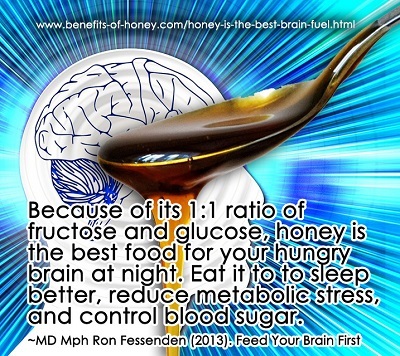 Why is honey labelled as the Gold Standard brain fuel in Dr Ron Fessenden's book, "The New Honey Revolution"? Amongst all foods, fruit juices included, why is honey deemed as the most ideal food before bedtime? Why is honey believed to be second to none in fueling the brain, the king of our organs overnight? How does it actually work? Here is the science behind it all.